Fernando Santos: What Can We Expect from Portugal’s New Boss? Could we see Ricardo Carvalho back in the team? Following Portugal’s abysmal World Cup campaign, many are calling for an entire squad overhaul. And whether or not that will happen is anybody’s guess. Paulo Bento has earned quite a reputation for favoritism, consistently choosing the same players time and time again. While these players have performed well for Portugal in the past, many of their performances recently have been far from their best. For instance, for this World Cup, Bento called up players such as Helder Postiga, Nani, and Eder, none of whom played regularly at all last season. Some would argue that players such as Postiga, Nani, and Eder don’t deserve to play for the national team due to a lack of playing time at their clubs, and that players who play club football more regularly should earn the call instead. Essentially, Paulo Bento is rewarding mediocrity. The competition for places on the team has dwindled to nothing. Good performances won’t earn a call-up. Many Portuguese fans have felt this way recently, and many feel the World Cup highlighted the holes in Paulo Bento’s plan. 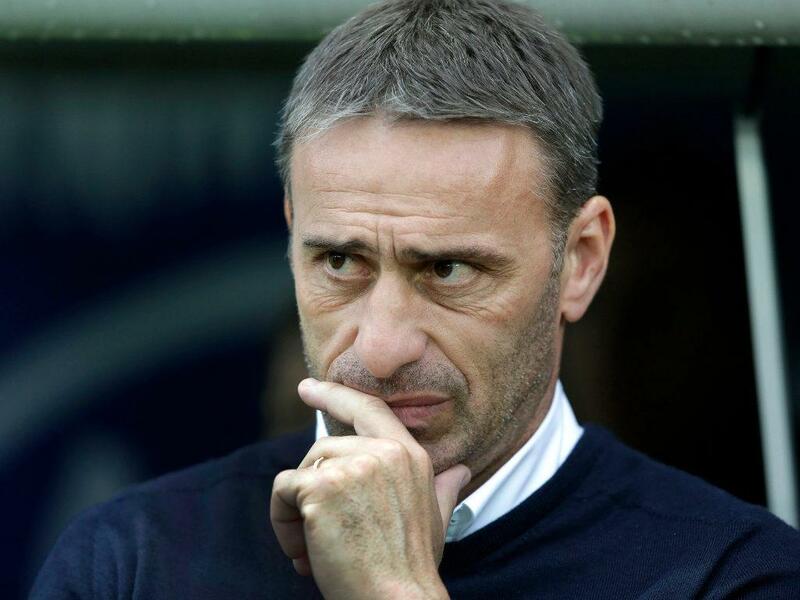 With Paulo Bento to stay in charge until at least Euro 2016, a change in coach does not look likely. The only think fans can hope for is a change in mentality from Bento. At the heart of this change should be a re-evaluation of the squad: determining which players deserve a place in the team, and discarding those who don’t. So, here are 12 players who deserve a place in Paulo Bento’s squad, in no particular order. Lima has played in Portugal ever since the 2009-2010 season, when he joined Belenenses from the lower divisions in Brazil. After a successful first season at Belenenses, Braga purchased the striker, who became a cult figure at the club. In his second season at Braga, Lima truly came of age. In 30 appearances, Lima scored 20 times, helping Braga to an impressive 3rd place finish, and also finishing as the joint top goalscorer in Portugal. As a result of his scoring exploits, Benfica came knocking. And in the two seasons he has been at Benfica, Lima has managed 34 goals in 56 appearances. Portugal has a long-standing striker problem ever since the retirement of Pauleta. Hugo Almeida, Helder Postiga, Nelson Oliveira, and more recently Eder have all been given chances, but none have truly won over the position. Though Lima was born in Brazil and has only been in Portugal for five years, naturalization is certainly an option. Lima isn’t getting any younger, however. At 31, Bento may have to act sooner rather than later if he wants Lima in the national team. In the past two seasons, fans of Sporting Lisbon and the Portuguese national team have witnessed Cedric Soares realize his potential. Always regarded as one of Portuguese football’s brightest prospects, Cedric has made the starting right-back spot at Sporting his own. The defender helped Sporting to an impressive 2nd place finish this season, playing in 28 matches for the club. And still only 22, Cedric has the time to develop further and to become an important member of the Seleccao for years to come. Arguably Sporting’s finest player last season, his exclusion from the Portuguese team for the World Cup left many with a bad taste in their mouths. In the mold of a stylish no. 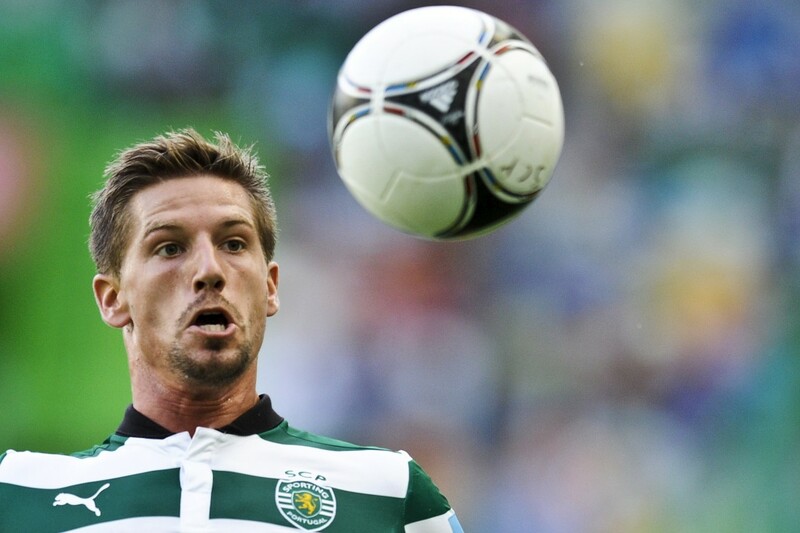 10, Adrien Silva is a creative spark behind Sporting, and a huge reason that the team finished as high on the table as they did. His call to the national team last season shows that Paulo Bento is not averse to his inclusion in the team, but a place in the starting eleven may be a bit harder to achieve. Bento is known to favor a three-man midfield of Veloso, Moutinho, and Meireles, which worked wonders at Euro 2012. Since then, that combination has fallen flat many a time. And with Bento not even willing to change his midfield trio with the inclusion of proven talent William Carvalho, a place for Adrien may be a long time off. Sporting Lisbon employed much the same tactic last season as Portugal does currently. Both teams play a 4-3-3, with virtually the same midfield set-up. William Carvalho provides the defensive anchor, Andre Martins provides some tenacity and creative spark, and Adrien does the dirty work, while also popping in with some creativity. Andre Martins enjoyed a solid season at Sporting, which was his first in the top flight that saw him perform regularly. With two senior team caps under his belt, Martins has already been in and around the team, and at the very least can provide cover for the ageing Raul Meireles and Miguel Veloso. Bento made a bold decision with his team selection this summer. Instead of choosing a natural left-back as back-up for Fabio Coentrao, Bento chose utility man Andre Almeida, who is capable of playing almost anywhere in midfield and defense. 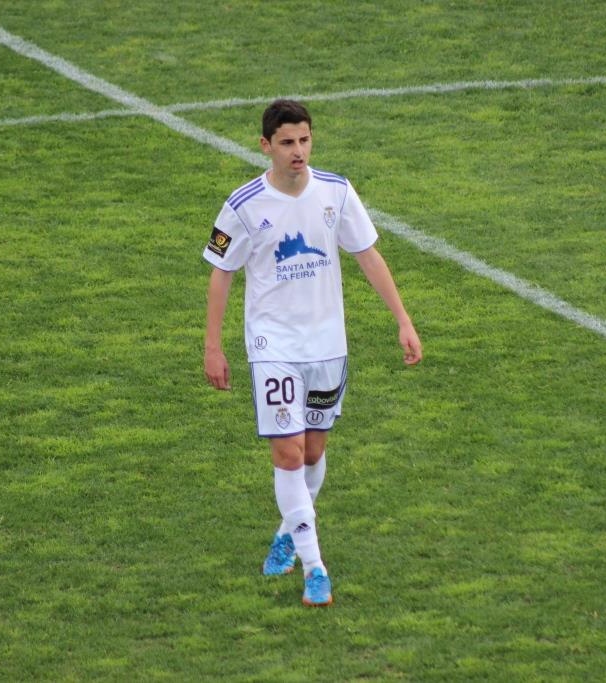 Almeida is a right-footed player, who Bento employed at left-back. A series of mediocre performances followed from Almeida, who while solid, lacked any attacking acumen going forward. 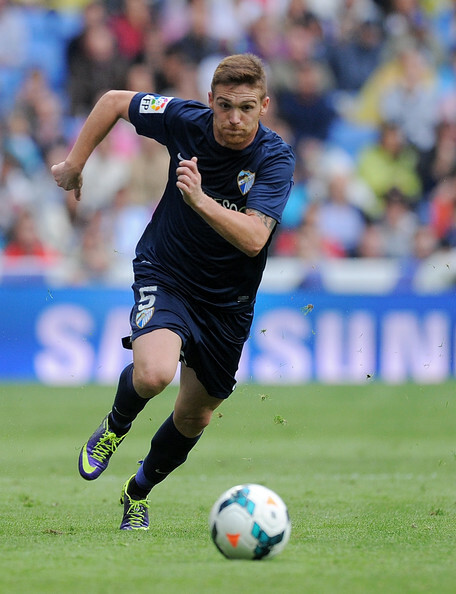 Antunes, on the other hand, is equally adept at attacking and defending, a quality that he has showed at Malaga, where he has won a starting spot at left-back. And he is no stranger to the national team. Having appeared for the team after an impressive U-20 World Cup showing in 2007, Antunes fell off the radar after an ill-fated move abroad to Roma. But after finding his way back to Portugal, Antunes earned a move to Malaga, where he has flourished, appearing 36 times last season alone. His performances have not gone unnoticed, with West Ham reportedly naming Antunes as one of their top targets. Jose Fonte, despite being somewhat of an unknown in English football, has become one of the driving forces behind Southampton’s baffling rise to the English Premier League. 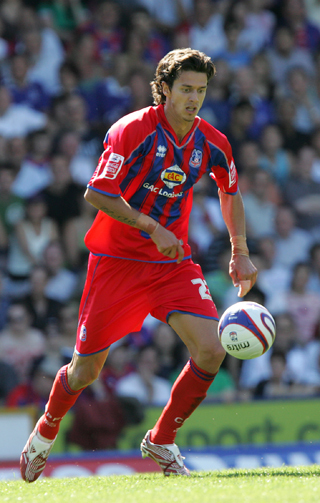 Fonte became a regular for Championship side Crystal Palace after leaving Sporting before the 2007-2008 season. Establishing himself as a started, Fonte spent three seasons at the club before agreeing to a move to Southampton, who were at that time playing in the third tier of English football: League 1. Many were taken aback by this decision, but few will fault the defender now. Two seasons in League 1 saw them promoted to the Championship, and after only one season, the team earned passage into the English Premier League. During the entirety of this revival, Fonte maintained a starting position, and has kept it during his two seasons in the Premier League. And he hasn’t only kept it. He’s become one of the club’s finest performers. 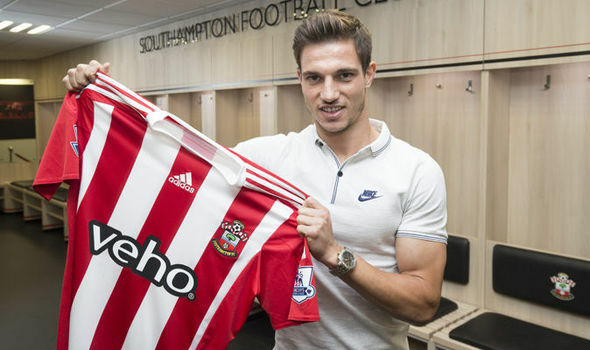 Last season, whoscored.com rated Fonte at 7.21, making him the second best performer for Southampton. Though he is 30 years old and not getting any younger, stats like that are hard to ignore. Once again, he at least deserves to earn a call to the team. Portugal has been gifted with talented goalkeepers in recent years. Players such as Vitor Baia, Ricardo, and Eduardo have graced the spot in between the sticks in recent years, and more recently, Rui Patricio has rightfully made the starting spot his own. And even after Patricio’s injury at this World Cup, backup goalkeeper Beto slid in an performed with confidence and skill. Of the three goalkeepers that Bento called on this summer, only two are still playing regularly in a top league. Beto was instrumental in Sevilla’s Europa League win last season, and Rui Patricio is one of Sporting Lisbon’s shining jewels. Eduardo, on the other hand, played well for Braga last season on loan from Genoa, but has transferred to Dinamo Zagreb in Croatia. The point of this is not to say that Dinamo is not a good team, but rather to point out that the Croatian league is not anywhere close to being a top league. It’s not even comparable to, let’s say, the French league. And now we come to Anthony Lopes, who was Lyon’s starting goalkeeper last season, appearing 32 times in the league. And this season, it looks as if not much will change. With Lopes playing regularly against players like Ibrahimovic and Falcao, why not call him up to the team, even if it is to serve as a back-up. Guerreiro deserves to be considered for the National Team. I highlighted the left-back in an article last week, and the reason is clear. 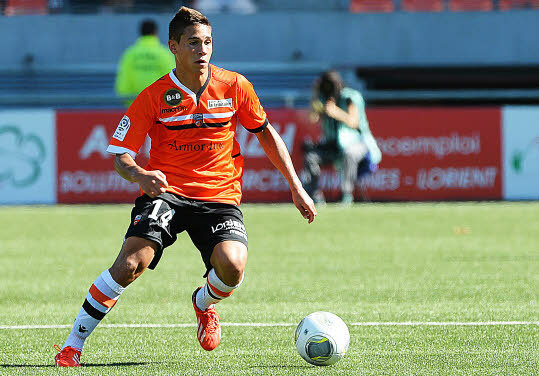 Guerreiro is playing regularly for a team in the top division in France, and is only 20 years old. There is a chance that he could switch alliances and choose to play for France, a move that would be devastating for Portugal. He won’t take the starting spot from Coentrao, and no one is expecting him to. But he certainly deserves a chance in the team, even if it is initially just to tie him down to Portugal. You may be wondering why Quaresma was included on this list; a player who has dozens of caps for Portugal. The reason is simple. Paulo Bento chose to leave Quaresma at home this World Cup, instead choosing Vieirinha, who had just come off a season ravaged by injuries. While Quaresma’s seasons recently have been lackluster, once the winger arrived at Porto in January, he looked a different player. And 10 goals in 24 appearances later, many were left scratching their heads when Bento left Quaresma off the team. Quaresma could have surely brought something to the team, at the very least as backup. While he is 30 and will soon be 31, Quaresma still possesses a skillset that can be of use to the team. Few were expecting for Diogo Figueiras to have the impact last season that he did. After an impressive 2012-2013 debut season for Pacos Ferreira, Figueiras earned a move to Spanish club Sevilla. Still a virtual unknown, the right-back managed an impressive 22 first team appearances for the Spanish club, helping the team as they won the Europa League. With first-choice right back Coke a possibility to leave, Figueiras will look to build on what was a very solid first season at Sevilla. And one way he can build on his season is to be rewarded with a call to the National Team, something that he undoubtedly deserves. He is certainly capable of providing competition for Joao Pereira. Another member of Sevilla’s impressive Europa League winning squad last season, Daniel Carrico is enjoying something of a revival after a horrendous season in England. Once viewed as Sporting Lisbon’s golden boy, Carrico was given captaincy at the Portuguese club at just 22. But the center defender’s form dropped as Sporting muddled through some of their worst seasons in history. As a result, Carrico was sold for close to nothing to newly promoted Premier League side Reading. At Reading, Carrico only managed a handful of appearances, and a loan deal to Sevilla for the 2013-2014 season was arranged. In his season at Sevilla, Carrico became one of the club’s most dependable performers, with his performances earning him a permanent move this summer. Long thought of as one of Portugal’s most up and coming defenders, few will argue that Carrico reached the potential that many saw in him during his Sporting years. But few will argue that Carrico’s season last time out was one of his finest. And not only that, but he is versatile. Capable of playing both at center back and defensive midfield, versatility is something that Paulo Bento looks for. So Paulo…nudge nudge. Often labeled as Manchester United’s biggest flop, many English football fans assumed that Bebe’s career was a joke and that he had very little to offer the world of football. Oh how they are wrong. Rightly derided in England, Bebe’s time at Manchester United, though not abysmal, was certainly not worthy of the price that the club paid for his services. But a good decision on their part was to loan him back to Portugal. A semi-successful loan to Rio Ave during the 2012-2013 season was followed by a hugely successful loan to Pacos Ferreira last season. 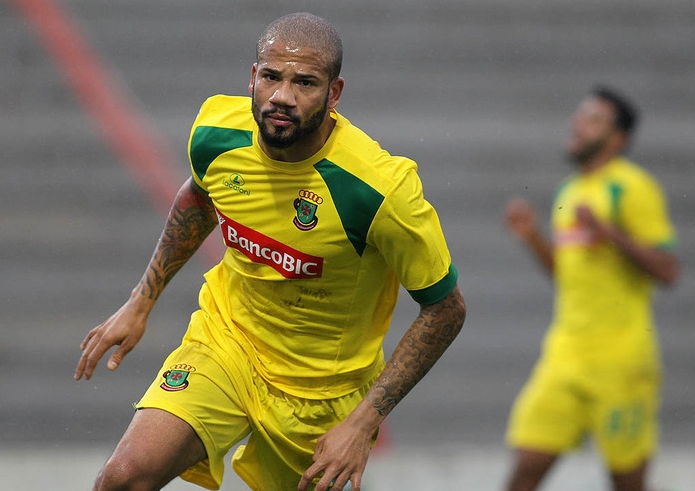 At Pacos, Bebe finished the season as the top scoring Portuguese player in the league, which is even more impressive when one considers that the winger was playing for a team who had to avoid relegation via a playoff. Following arguably his most impressive season yet, Benfica are extremely close to signing him, and you can expect that he won’t be loaned out. According to reports coming out of Portugal, Sporting Braga have signed Fabio Carvalho from Feirense. Carvalho, who is also known as Fabinho, will officially sign after he finishes his involvement with the Portugal U-20 side at the Toulon Tournament. Fabinho, whose primary position is attacking midfielder, managed 20 first team appearances and four goals this season, which was his debut season. One can easily draw parallels between Fabinho’s first season and Braga’s signing from Feirense last season, Rafa. In his debut season for Feirense (2012-2013 season), Rafa played an even larger role than Fabinho did this season, appearing 41 times and scoring 10 goals from midfield. That’s not to say that Fabinho is less talented than Rafa. Numbers don’t always tell the truth. Braga will surely be hoping for another Rafa, who after just one season is already an established squad member at Braga, and was recently included in Paulo Bento’s 23 for the World Cup. All by the age of 21. This could also signal Rafa’s departure from Braga. The midfielder’s impressive performances have caught the attention of clubs such as Southampton and Roma, both of whom were following Rafa very closely at one point or another in the season. One rumor that has persisted, and appears may turn true, is Benfica’s interest in Rafa. According to some sources, a deal is already in place; a deal that will not be announced until after the World Cup. So, Fabinho’s move to Braga can easily be assumed to be to fill the void that Rafa will leave once he departs. 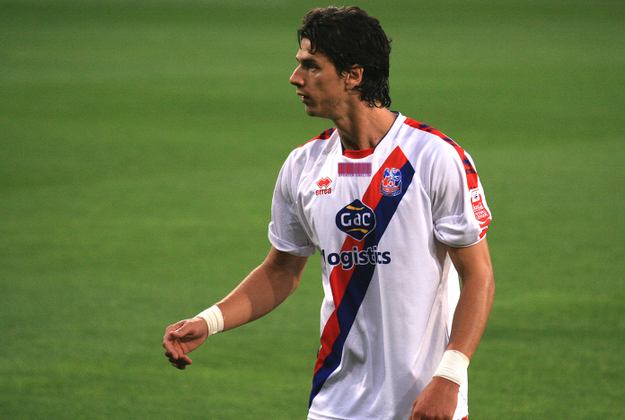 According to reports coming out of England, Jose Fonte is not a target for Newcastle’s new coach Alan Pardew. After taking the reign at Newcastle, Pardew suggested that he was interested in some League 1 players, including Jose Fonte. New reports from England now suggest that Fonte is not an interest of Newcastle. Jose Fonte moved from Crystal Palace to Southampton last January, and has since become one of their most important players.